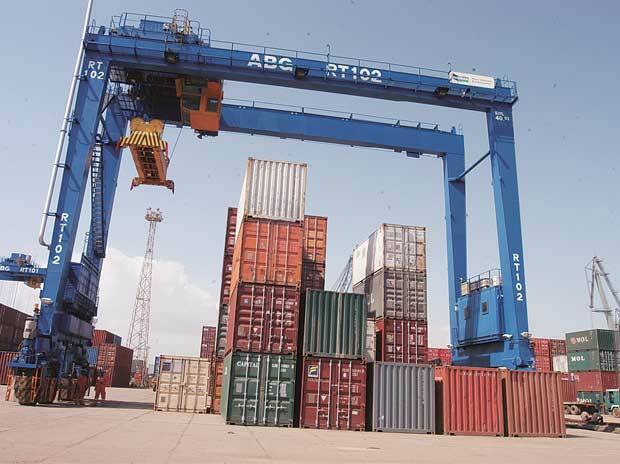 As the competition for hinterland cargo set to get intense with the upcoming commercial port at Subarnarkeha, the established ports at Paradip and Dhamra in Odisha are looking beyond bulk cargo to drive growth in the future. The port in Paradip and Adani-owned Dhamra port are currently servicing Tata Steel's Jamshedpur steel plant. But once the Subranarekha port commences full-scale operations, the steel company is likely to shift the entire cargo for its Jamshedpur plant to the new port. Tata Steel has acquired 51 per cent stake in Chennai-based Creative Port Development Ltd, the special purpose vehicle (SPV) with a concession agreement to develop the Subarnarekha port. The foundation stone for the new port on the river mouth was laid last week. The steel maker expects to develop the port fully in 4-5 years, with an investment of Rs 3,000 crore. Tata Steel's global chief executive officer & managing director T V Narendran feels Subarnarekha can emerge as the best port for its Jamshedpur steel mill. "We have been servicing the Jamshedpur steel plant from the ports at Paradip and Dhamra. But we believe Subarnarekha will be the best port for servicing Jamshedpur”, he said during his Odisha visit last week. The proposed deep-water port at Subarnarekha is also eyeing cargo primarily from steel industries in the hinterland of Jharkhand and West Bengal. This could shrink bulk cargo volumes at Dhamra and Paradip ports. “We can sense some loss in steel and iron ore cargo once the Subarnarekha port comes up. But in our second phase expansion, our thrust is on liquid cargo and containers. In another three years, the Dhamra port expects to start LNG imports”, said a source familiar with the development. Dhamra Port Company Ltd (DPCL), a subsidiary of Adani Ports & Special Economic Zone (APSEZ), is in the middle of its second phase ramp-up. The expansion will scale up the port's cargo handling capacity four-fold from 25 million tonnes per annum (mtpa) to 100 mtpa. This phase will see the port's LNG terminal going on stream. DPCL is also bracing up for starting full-blown container operations. Paradip Port Trust (PPT) is also diversifying its cargo profile, moving beyond coal and iron ore, its traditional growth drivers. The major port has developed a multipurpose berth on BOT (build, own & transfer) basis to handle clean cargo, including containers. The clean cargo or container berth will cater to the needs of the containerised traffic and finished products arising out of rapid industrialisation in the state and other states of the port’s hinterland. The capacity of the terminal is five mtpa and the estimated cost of the project is Rs 430.78 crore. Work on an LPG terminal set up by the Indian Oil Corporation Ltd (IOCL) has also taken off at Paradip port. The LPG terminal being installed at a cost of Rs 690 crore and meant to augment LPG import infrastructure, will receive butane and propane through large sea vessels at South Oil jetty, from where they will be transferred through underground pipelines and stored in mounded-type storage vessels. Paradip, being one of the key ports on the east coast with a very high draft for large-size LPG carriers (tanker-ships), the project is planned within the existing LPG marketing terminal at Paradip, which will also store and further distribute LPG produced at IOCL's Paradip refinery.